Clydebank were party poopers tonight as they took the shine off Rutherglen Glencairn’s championship celebrations by recording a deserved victory at the Clyde Gateway Stadium. A healthy crowd of over 500 saw the Bankies triumph by 3 goals to 2 with the visitor’s young trialist, Mark Fizsimmons, hitting a stunning injury time winner. Budgie McGhie hasn’t had his troubles to seek lately with an ever-growing injury list. So much so, that two trialists were brought in with Mark Fitzsimmons making the starting line up, and Craig McGorm, son of ex-Bankie, Tom, on the bench. Many of the players that began the match, such as Mackie, Hailstones and Lynn had been injury doubts prior to the match, but as the squad is down to the bare bones, unless your leg is hanging off then you’re playing. This didn’t deter the Bankies and they started off much the brighter of the two sides. Two of the injury doubts, Mackie and Hailstones bore the brunt of early tackles, and both required treatment. From the infringement on Hailstones, Billy Jones fired in a free kick in that went wide. After 12 minutes the Bankies took the lead as simple as you like. Fitzsimmons slipped a neat through ball to Mackie who split the Glens defence and he showed great composure to roll the ball past McNeil to give the visitors the lead. Five minutes later and the Bankies came close again. Fitzsimmons held the ball up well in the box and slipped it back to Marshall whose shot with the outside of his foot was deflected wide for a corner. Rutherglen had their best spell of the half after they scored. Fraser had a shot well held by Gonet after he went on a mazy run into the Bankies penalty box. 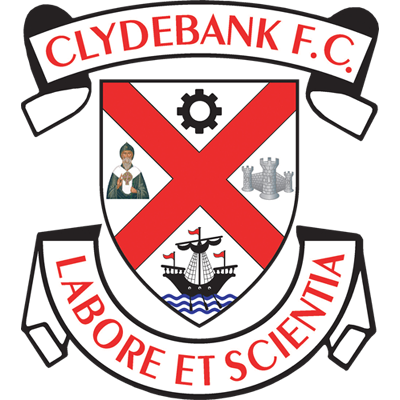 The home side were unable to turn this period of pressure into any more meaningful chances, and it was Clydebank who created the chances toward the end of the first half. Nikky Cairney worked a neat one-two with Hailstones, and his low drive from the return pass was gathered comfortably by McNeil. Then, Chris Mackie was only inches wide with a header from a Billy jones corner kick. Practically on half time Marshall sliced what can only be described as a speculative drive well wide of the post. The Bankies began the second half as they ended the first. The ball broke to Hailstones just outside the Glens box, and he hit a tremendous effort that McNeil had to dive fully to his right to turn around the post for a corner. Minutes later, Gary Lynn crashed a free kick over the bar. The Glens made a double substitution to try and reverse the pattern of the match, and it almost paid dividends straight away. Substitute McLaughlin sent over a fantastic cross from the right wing, which was met at the back post by Fraser. His header was not as accurate as intended as the ball went straight into the ground, but nearly caught Gonet out as it looped up and bounce off the top of the cross bar. Clydebank then made a substitution of their own, and it almost reaped an instant reward. Mackie did well to nod a deep cross back across the box where Bankies super sub Kilpatrick was waiting, however McNeil was alert to save his close range volley. After 64 minutes Rutherglen were awarded a penalty. A good, early ball down the right channel was taken on by Thompson, and he nicked the ball past Lynn in the box. The Bankies defender brought him down to give a penalty of the stonewall variety to the home side. O’Keane who had netted with a spot kick at Holm Park earlier in the season crashed his shot off the cross bar. In the ensuing melee, Soutar did spectacularly well to clear the ball from the corner. However, the Glens proceeded to score from the corner kick. McShane met the ball at the near post, and his header seemed to ghost in with everyone ball watching. Given the Bankies recent schedule you could have forgiven them for not being able to summon up the strength to get back in the match, but they did it and more. With quarter of an hour remaining it was all square. A free kick from the left was headed high in the air by Billy Jones. McNeil who had made two great saves earlier, came out and totally mis-judged his punch. 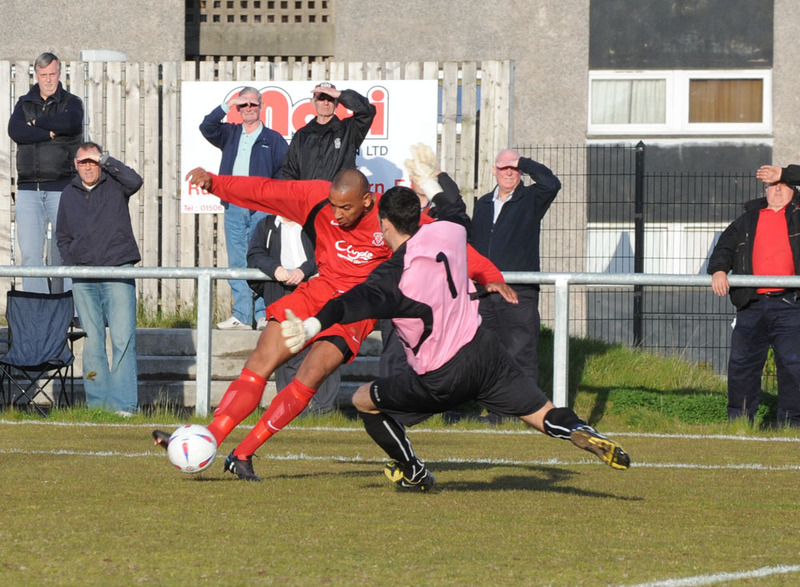 Bankies sub Mark Kilpatrick took advantage to nod the ball into the empty net to score his third goal in four games. 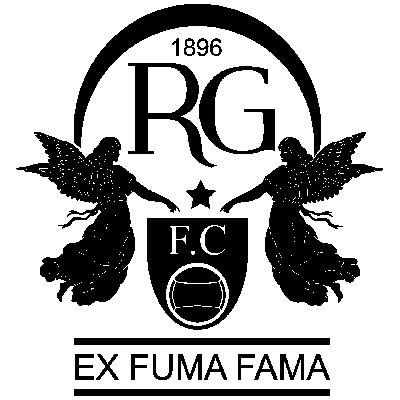 As the game entered the closing stages, Rutherglen could have regained the lead. A mistake by McInnes allowed a Glens striker to power into the box, and he cut the ball across the six yard box, but Soutar slid with a superb saving tackle to clear the ball away. Down the other end Kilpatrick showed his improving sharpness, by taking one touch on the ball and shooting on the swivel. This forced McNeil into another diving save, this time low to his left. With the game seemingly heading for a draw, the Bankies sensationally took all three points. The ball broke to the Bankies trialist, Fitzsimmons at the edge of the box where he sent in an unstoppable shot that crashed into the top corner of the net. The ref added on several minutes of stoppage time but the Clydebank goal was not threatened again. 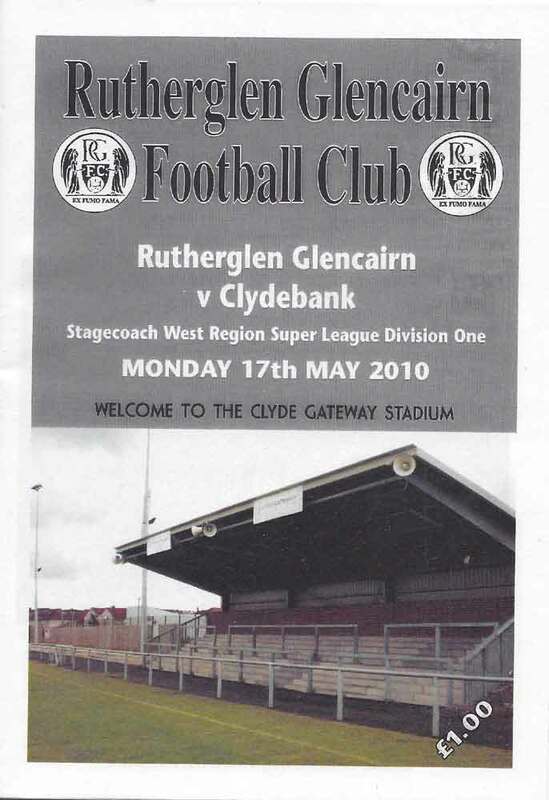 This was the night the Glens were presented with the championship trophy, but Clydebank were not concerned with that. It was a vital win as it all but sealed the play off spot for the Bankies. It also kept automatic promotion in the remote, but possible category. The punishing schedule continues with a match up with relegated Neilston where not only victories, but goals are required.